Original looks for your Personal Lifestyle. On November 1st of 2014, Vigi’s Hair moved into Ramsay. As one of Calgary’s oldest communities, Ramsay offers a vibrant mixture of the historical and the modern buildings. Vigi’s looks forward to being an active member of the community of Ramsay. 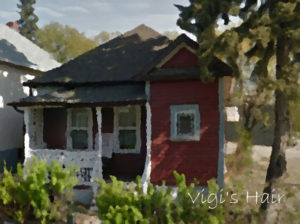 Vigi’s is in the old Sinclair House, an 110-year-old Victorian Cottage. The address is 1044-19 Ave SE, it’s the little Red house on the Corner. We would like to thank our clientèle and we look forward to continuing to serve you. New clients are always welcome. Call us to book your next hair appointment. Vigi’s Hair, Calgary’s Happiest Hair Salon since 1984.